I’d like to congratulate our giveaway winners! The giveaway winners should’ve already gotten an email from a Webby Monks representative informing them of their prize. 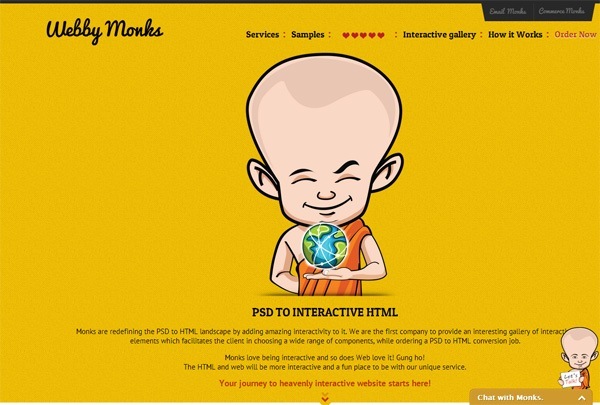 Webby Monks is an awesome design to interactive HTML conversion service provider. They offer fast and high-quality PSD conversions. What makes Webby Monks quite unique is their interactive component gallery which significantly helps their clients choose and add interactive, mobile-ready elements like sliders, online forms, image galleries, etc. onto their projects.